Inject fresh energy into your wardrobe with a change of style & character in your #OOTDs. 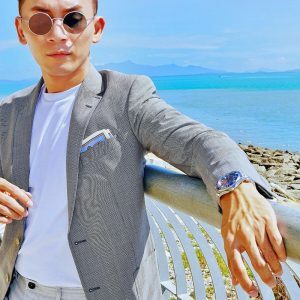 Find out the season’s hottest trends to know in men’s fashion with Hugo Boss, Alfred Dunhill, Bally & Versace. Tailoring is back in a big way with exquisite suits stealing the spotlight. Muse over pastel shades, double-breated blazers and more this season. 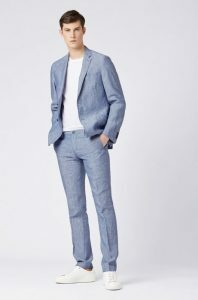 A seasonal shade in a defined fit by Hugo Boss, this jacket & trousers suit is tailored in pure linen for a cooling effect in warm weather, with patch pockets and notch lapels. Pair it with the coordinating trousers for a summery approach to suiting. Shirts with casual cuttings from funnel-neck tunics to oversized checkered shirts have been making rounds to bring in the Summer season. 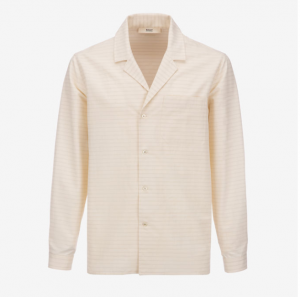 Made from cotton, Bally’s Long Sleeve Striped Cotton Shirt has a striped motif. The shirt has a front-facing button closure, long sleeves, and buttoned cuffs. Sage stood out at the SS19 runways as the most wearable colour trend, pair the deep green colour with a bright coloured pair of Chinoz this season. 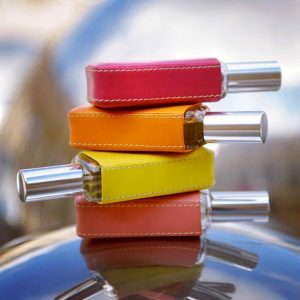 Alfred Dunhill presents a new collection inspired by the precious stones and minerals of archive Dunhill lighters. 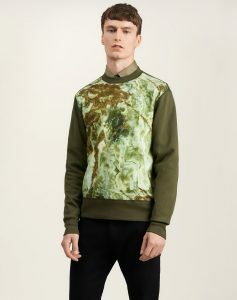 This Marble Sweatshirt features a dark green cotton-blend with a fossil placement print on the front. Injecting vibrancy and character to fit the Summer styles, take your pick from brash logos, dazzling colours & clashing patterns. 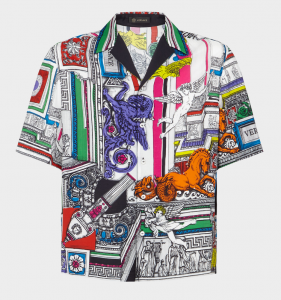 For a casual day out wear the bold Il Tempio printed silk shirt in short sleeves by Versace. This signature multicolor prints is inspired by archive prints that gives an impression of looking through a kaleidoscope at the ceiling of an ancient Greek temple.